This page contains gift ideas for Special Occasions. We have assembled some suggestions for each occasion shown. Each page contains some ideas and some of our best sellers. 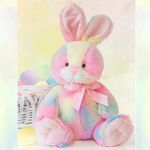 Special Occasion gifts ideas for Valentine's Day Gifts, Easter Gifts, St. Patrick's Day Gifts, Mother's Day Gifts and Wedding Gifts.